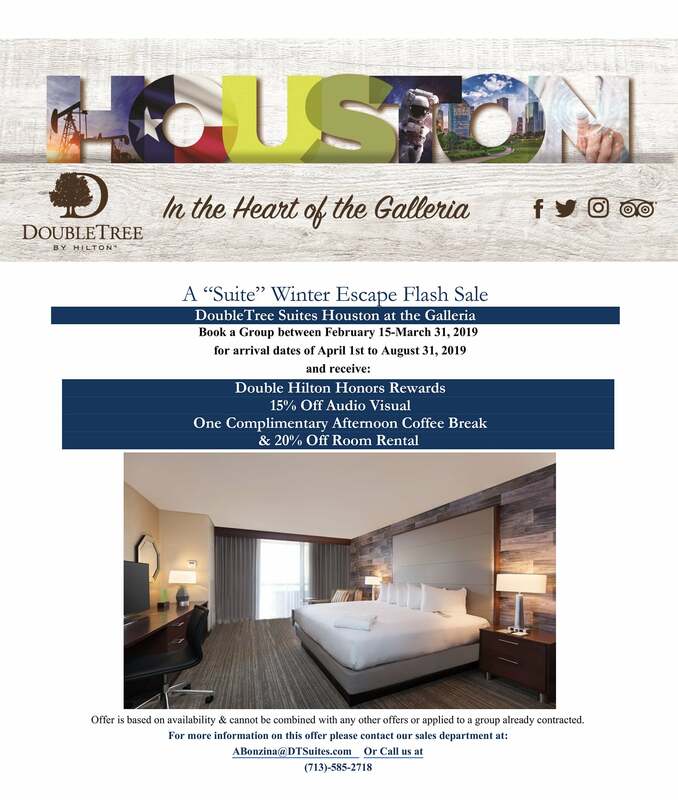 Newly renovated and fully equipped, DoubleTree by Hilton Hotel & Suites Houston by the Galleria is the ideal destination for your upcoming meeting. Our full-service hotel near the Houston Galleria offers 9,186 square feet of meeting and event space throughout multiple function rooms on the lobby level and second floor. We specialize in small meetings, training seminars, and conferences of up to 120 people, because hosting more intimate occasions means our professional event staff can provide the individual attention and service you deserve. DoubleTree Houston has 14 function rooms for you to choose from, the largest being 2,200 square feet. Our event space can be arranged in a variety of seating arrangements to accommodate intimate events of 10 guests or larger gatherings. Trust your event to our banquet and culinary staff, whose abilities are unmatched in the city. Our event planners can assist with every detail from start to finish, and our talented chef can create new and creative menu selections specifically for your event. We also offer in-house audiovisual services to ensure a seamless presentation. Contact us today to request more information about meetings at our Houston hotel.